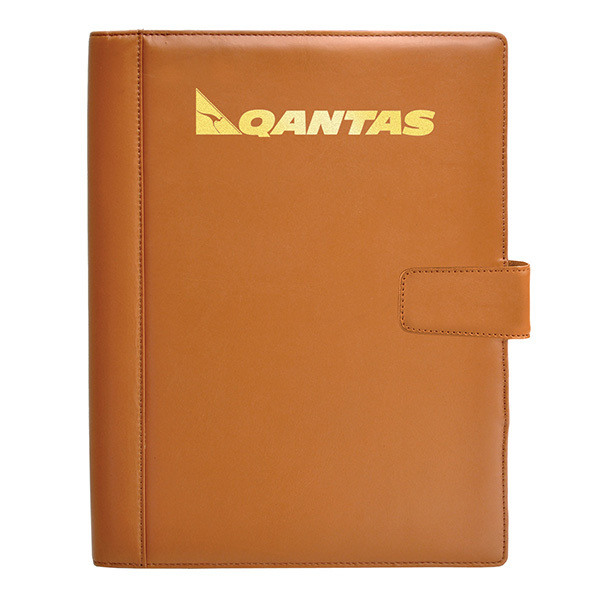 Prioritize your promotional efforts by handing out the Chairman's leather writing pad desk folder during the next campaign! Measuring 9 3/4" x 12 3/4" x 5/8" and available in black or tan, this versatile portfolio is finely crafted from full-grain Nappa leather and includes a tab closure, a padded cover, microfiber lining, a file pocket, a calculator, card pockets, a pen loop and a 50-page ruled writing pad. 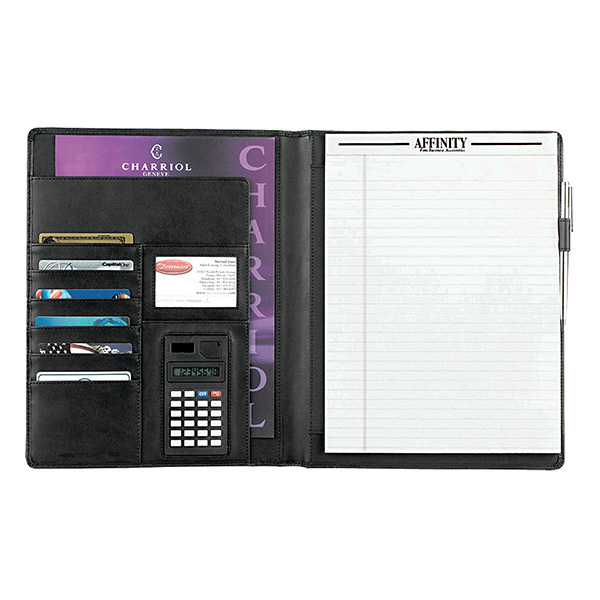 Customize with an imprint of your brand logo to make the most of this essential organizational tool. Item Size 9 3/4" x 12 3/4" x 5/8"
Case Dimensions 11.5" x 15" x 15"
SpectraDome™ 4" x 2" 1 color, 1 position imprint N.A.